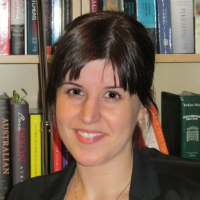 Dr Tanya Josev is a legal historian, researching in contemporary Australian and American legal and political history. Her current interests include the origins and evolution of the binary understanding of the judicial role as involving 'activism' and 'restraint' across various common law jurisdictions; and judicial biography. Recent articles include an examination of the status of judicial biography in Australia in the University of New South Wales Law Journal, and a narrative account of the first fifteen years of the judicial activism ‘debate’ in the United States in Studies in Law, Politics and Society. Her first book, The Campaign Against the Courts: A History of the Judicial Activism Debate was published by the Federation Press in 2017, and was awarded the Law & Society Association of Australia and New Zealand’s ECR prize in 2018. The doctoral thesis upon which the book was based also won the Dennis-Wettenhall Prize for the best thesis in Australian history in 2015. Tanya is a BA LLB(Hons) and PhD graduate of the university, and a former editor of the Melbourne University Law Review. She previously worked as a commercial litigation lawyer at Allens and as an associate to the late Justice Alan Goldberg AO of the Federal Court of Australia. She was one of the Law School's inaugural PhD Teaching Fellows, and, in 2010-11, she was based at New York University's School of Law through her appointment as a Hauser Global Fellow. Her research has been supported by scholarships from the Australian Federation of Graduate Women, the Alma Hansen Bequest, the Hauser Global program at NYU, and various other prizes. She teaches The High Court in the Twentieth Century (legal research); the Law of Obligations; Legal Method and Reasoning; Corporations Law and the breadth subject Principles of Business Law, and has previously published in related areas. Her research interests extend from Australian legal and political history to private law topics.